I loves me some color. I am sure you have all figured this out by now. I also loves me some clothing that gives me layering potential given that I am always cold. Not to mention clothing that can do double duty. I have found that and much, much more in my spiffy new Flower Clouds Tee from YMX by YellowMan. Ignore me. I am old and lumpy. Just look at the shirt. What I love, love, love about this shirt is that even though it was 90 some degrees out when the hubby took the photos I felt like I had nothing on. It’s made of a very spiffy, lightweight material called MadKool™. 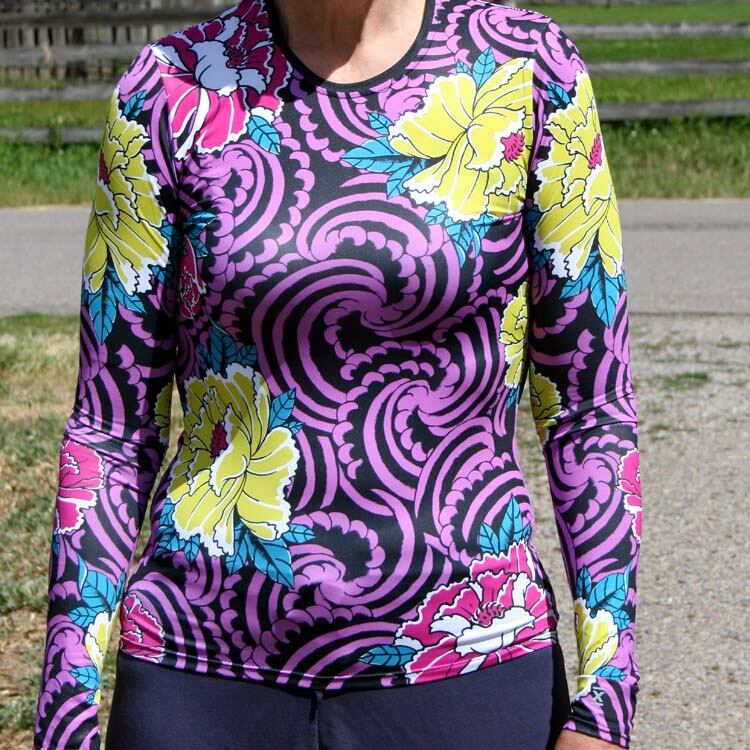 It has UV protection to 50+ and moisture wicking so it is ideal for summer fun. I can see me wearing this if we ever get time to go rafting this summer. It feels like silk – soooooo soft and comfy. I can also see it as a fantastic underlayer in the winter. It has a different pattern on the back. Again, ignore the lumps. And don’t get old. I just adore the patterns. I suspect I will be looking some over for the hubby come Christmas as he has started running again and is building his wardrobe. The tee wears like a dream and washes easily. I am THRILLED to have one to wear. One lucky reader will get to win one just like it! Plus everyone can enter to win a YMX wardrobe on Facebook. It’s easy! Just jump on the Rafflecopter. From the Garden: Lots and Lots of Broccoli!